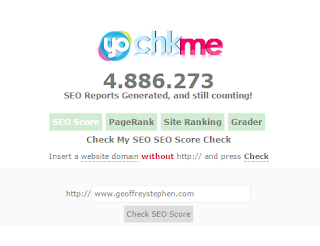 How to Check Score SEO Blog. Shalom, at this time the article is about how to check the score of search engine optimization (SEO) of your blog. SEO blog percent in determining the quality of your blog, or vice versa. If you have an SEO blog percent proud, google spider will crawl your blog quickly without problems. If bad SEO your blog, a lot, your article will not be indexed in google search. 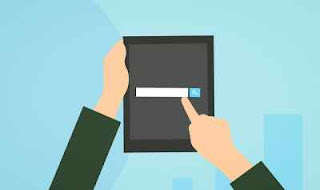 How to Check Score SEO Blog. Well, way to see the percentage of your SEO blog is, go to the website https://chkme.com and click on 'SEO Score', enter the URL of the Website / Blog and click the button Check your SEO Score. Wait a few seconds and will be given some information about SEO blog / websites. When finished, you will be shown the strengths and weaknesses of your blog. I was reading through some articles on the Internet, the percentage of the good SEO score is 80%. If less than this percent mark, blog / website you must be redesigned or learn to build a blog / website SEO friendly. To ensure the quality of your blog, you must fix your blog in terms of HTML5, Breadcrumb, Meta tags, and many others. Even so, this is not a benchmark of success of your blog, but the number of quality article content is the key to success for a blogger. This blog has a score of 100%, what is the score of your blog? Fix blog on a regular basis to make the blog SEO friendly. I or you are actually in the process of learning in the world of blogging, many more things must be learned. Apart from the website above, there are many more on the internet check service SEO score, like, www.opensiteexplorer.org, www.sitereportcard.com, www.seoreporters.info, www.afrihost.com and more. Hopefully this article useful and make it as a guide to build a blog / website quality. See also, How to Create PrivacyPolicy in Your Blog.